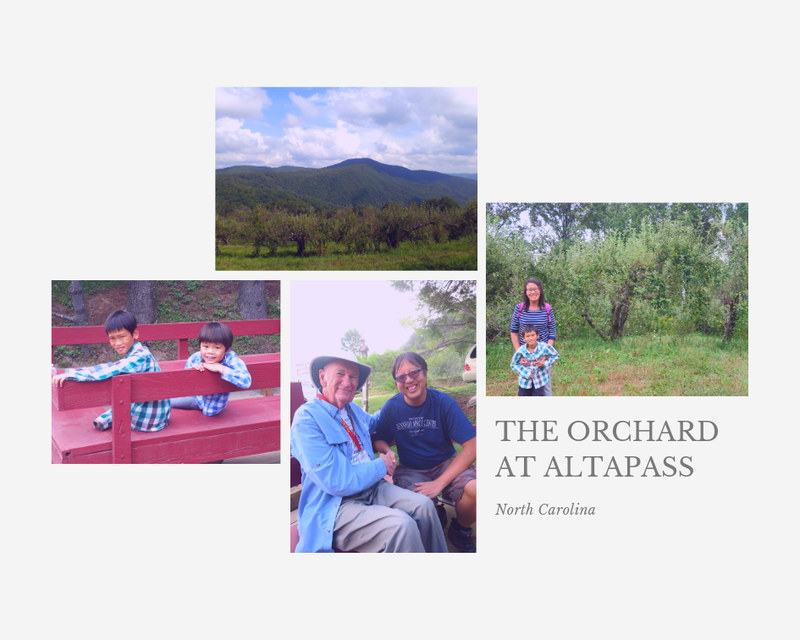 The boys were keen to do some apple picking, so we headed off to the Orchard at Altapass, located along the Blue Ridge Parkway. 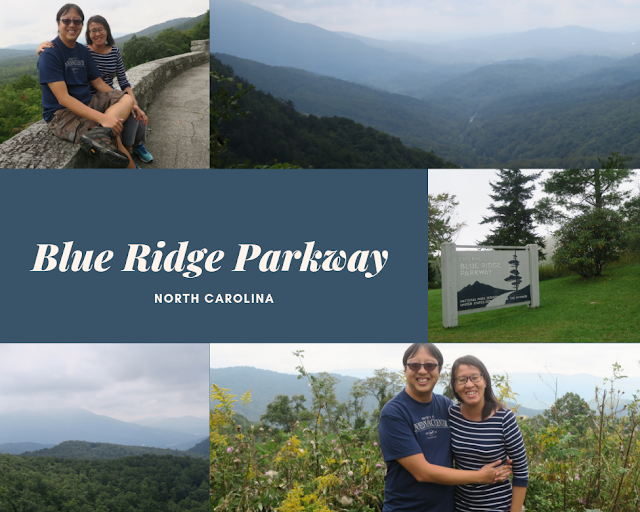 The Parkway itself took over 50 years to build. It is one of the most scenic drives in the world - most of the land surrounding it is owned by the National Parks Service, and private developments are strictly regulated. The result is a more than 400 mile (700 kilometre) stretch of unparalleled scenery and beauty. It was indeed a joy to drive along the Pathway, described is among the most beautiful in the world. We arrived at the Orchard expecting a regular apple picking session hosted by a regular farm tour. We got no apples, and there was no regular farm tour. Sadly, the cold had killed off most of the apples, and the Orchard did not have a single harvest this year. As for the tour, it was far from regular. For starters, it was a wagon ride - described as a “hay ride”. by the owners. And then, we realised that the ride would be led by storyteller Bill Carson. Bill’s resume practically blew us to the moon - he used to be a top man at IBM, and worked on a wide array of ground-breaking projects including all the Saturn launches at NASA which helped to send men on the moon. He was also one of the people who helped to develop and launch the GPS technology we use so widely today. Bill told a lovely story about how his ancestor Robert Young owned a gun with the nickname “Sweet Lips”, and it was Sweet Lips that fired the shot responsible for the death of British commander Patrick Feguson, an action which led to the string of events the halted the British campaign in the Revolutionary War and eventually handed the Americans their independence. independent frontiersmen (called Overmountain Men) took up arms against the British when coerced to surrender. of the legendary march of the Overmountain Men in their fight against the British. It was surreal to come face to face with history in so many ways - Bill and his sister Kit were responsible for buying the Orchard and saving the area from private development - they now lead an entire community movement aiming to preserve the culture of the area - which consists of organising Bluegrass dances and heritage events so that future generations will continue the precious heritage of the region. perhaps a legacy of the original people who had settled here in America. Tradition and culture are very much alive in the Orchard. Couples come here regularly to enjoy a good 'ol fashioned dance. Clogging, the practice of tapping, is all part of the rhythm that is characteristic of this dance. The Previous Page - Colours of Fall. Read here. The Next Page - Blown Away. Read here. From the Beginning - Start reading the record pages of our US East Coast Travel Adventure here.